Frank Jones and I co-wrote this article between May and June of this year. We found that it was far too long for a newspaper op-ed and that treatment professional magazines did not want to print this. The insurance industry is powerful, as they buy a lot of advertising and contribute to thousands of politicians on both sides of the aisle on both the federal and state levels. I expect that this article will hurt my consulting business a little, but the moral and social imperatives demand that this issue be properly addressed. Mr. Jones’s biography can be found at the end of this piece. For over a decade, both of us have seen many insurance companies deny payment for addiction treatment services (one of us is a licensed clinical social worker, while the other operates a boutique insurance agency) to hundreds of individuals. The denials by insurance companies to pay for opiate detoxification, in-patient addiction treatment or intensive outpatient counseling have increased in the last few years, even as more and more people are abusing opiates, overdosing and dying. This isn’t a new problem, but it has been getting worse in recent years. In 1996, Congress passed the Mental Health Parity Act. It stipulated that insurance companies must pay for mental health treatment in the same way that they would pay for physical health treatment (Kevin Sabet states that it took Congress decades to take the radical position that the brain is part of the body). The law was rife with exceptions and carve outs and was ultimately quite toothless. Addiction treatment was not covered in the law, despite the desire of the bills’ sponsors to include it, because of the stigma associated with substance use disorders. In 2008, the Mental Health and Addiction Parity Act was passed and it attempted to fix a number of faults in the 1996 law, as well as provide equal coverage for addiction treatment (this linked article notes that the MHPAEA did not mandate mental health or substance use treatment, but if treatment for these conditions is included as a benefit, plans have to provide it under the same terms and conditions as other medical treatment). In 2010, the Affordable Care Act improved upon the 2008 law by directing that all insurance plans cover mental health and addiction treatment. Despite all of these laws and the vast amount of media attention that is now paid to the heroin epidemic and the rich and famous people that are dying, insurance companies are still often denying addiction treatment. This urges the key question: how are they able to do it? The answer is horrifying: many states do not have an enforcement mechanism to ensure compliance and wading through the federal bureaucracy requires more time and skill than the average person possesses. In the rare cases where insurance carriers have been found to be in violation, they have not been fined. They have just had to pay for the appropriate level of care. This is the epitome of a toothless law and weak enforcement. Ed Brazell’s family has been struggling to help his son for several years. He has Anthem Blue Cross/Blue Shield, which is considered to be an excellent health care plan. When his son went to Seabrook House in NJ to deal with his severe substance misuse disorder, he had to pay an additional $5,000 on top of the insurance. It was tough and required the family to scramble, but the alternative was grave. His son stayed clean for a bit, but he relapsed and quickly was using 25 bags of heroin a day. When his son agreed to go to a detox, the insurance company told them that “should stay in bed and take Tylenol.” Ed was aghast, and asked to talk to the doctors and counselors that Anthem Blue Cross/Blue Shield utilizes to make those decisions. “I wanted to know about their decision making process and they refused to talk to me.” Ed’s son went to Florida where he received a form of inpatient care (level 3) that was billed to the insurance companies as intensive outpatient (level 2) – this is known as the Florida Model, and while it is sometimes rife with problems, it sprung up as a reaction to the fact that insurance companies are either paying for limited treatment or not paying at all. The American Medical Association, American Psychiatric Association, and the World Health Organization have characterized addiction as a chronic medical problem. It seems that this assertion from those esteemed bodies has not made its way to the insurance carriers who apply coverage limitations to addiction and mental health treatment modalities, which are not applied to treatment modalities tied to physical or medical disease categories. Increasingly, carriers are lowering reimbursement and shortening the benefit periods for those afflicted with addiction and in need of recovery treatment. This behavior seems to be contrary to the aforementioned Mental Health and Addiction Parity Act and the Affordable Care Act. Unrealistic demands are made on the treatment centers, such as the requirement that progress must be demonstrated within three days of admission, or further coverage will be denied. A person so afflicted for years, prior to finally seeking treatment, is highly unlikely to progress in just three days. This coverage model has not yielded successful, sustained treatment outcomes (one treatment center executive we spoke with said, “It is almost as if they are trying to create a system that is denied to fail”). As an example, some carriers will allow for 12 days of outpatient coverage with no coverage for in-patient treatment. It is quite clear that people with opiate addictions have better outcomes with a full continuity of care: a week of detoxification services, a week to a month of inpatient treatment and then a few months (at least) of outpatient treatment. Several years ago, 30 days was allowed for in-patient addiction recovery treatment and five days per week for intensive outpatient treatment. Like oncologists who are far more equipped to diagnose and treat cancer than insurance carriers, diagnosing and treatment for those in addiction should be more influenced by the treating clinicians. Instead, the physicians and therapists that are employed by insurance carriers have a much stronger role in determining what level of care (or if any) a patient gets (this is almost always done sight unseen; the professional employed by the insurance company reviews a file and only occasionally talks on the phone with a patient). Some argue that the insurance professionals’ primary goal is managing costs instead paying for the proper services – if they are recommending a lower level of care or denying coverage than is medically indicated, then that is a true conflict of interest as the physician potentially benefits directly from turning down treatment. This raises a second question: what criteria are they using to limit or deny treatment? These claims we are leveling against insurance carriers are not new. Nor is it the first article that details the insurance denial disaster. On their website, Aetna writes that they use the American Society of Addiction Medicine’s (ASAM – full disclosure: Mr. Greenagel is an associate member) criteria, which states that the proper level of care is “the least intensive, but safe, level of care.” This ambiguous wording is open to interpretation and is used as a shield to defend insurance companies against claims that they are denying proper coverage. Unfortunately, this vague wording and loose criteria are taken from a medical professional organization and is legal for the insurance companies to use in this way. We found out about my son’s addiction over the holidays in 2009. He was using alcohol, marijuana and heroin. We tried to get him to willingly go to treatment. He refused and eventually ended up in Union County Jail. He agreed to go to a treatment facility, but insurance at the time would only approve IOP but through some grace of God he was able to live at a facility in Florida (and it was only considered IOP through insurance – the Florida Model). That was the first of many rehabs my son attended, along with many detoxes and halfway houses. He was considered to be dually diagnosed with mental illness as well. Over the course of his fight with this chronic medical illness and he was denied treatment too many times for me to remember. There were also times where his treatment was cut short and I gladly paid out of pocket for his care. His fight ended on May 27, 2011, when he died from this chronic medical illness. Many treatment programs are not getting paid by the insurance companies that had previously agreed to pay for the treatment. Post payment and prepayment claim reviews are conducted by Recovery Audit Contractors (RACs), Medicare Administrative Contractors (MACs) and the Zone Program Integrity Contractors (ZPICs) who work for the insurance carriers and the Center for Medicare and Medicaid Services (CMS) respectively. The purpose of the audits is to uncover fraud, waste and abuse, the audits aim to ensure that payments are made correctly the first time and to identify, investigate, and recoup payments made in error. Ostensibly, it is a program which will save millions, and potentially, billions of dollars. In reality, it is a program heavily dependent on the use of intimidation and strong-arm tactics to achieve much of that savings. Treatment approved in advance by the insurance carriers, for which payments are received by the treatment centers, are too often identified as an overpayment by RAC reviewers with a demand for repayment, under the guise of “medical necessity”. The auditors are rewarded (9-12% of the recoupment) for their efforts based on the amount, which gets returned to the carrier or CMS. Much like the physician employed by the insurance company, the auditors have a financial misalignment of interests, as they benefit from denying coverage and/or withholding payments. It is a bad policy and terrible ethical position. I learned of Z’s drug use sometime in March 2014. The insurance company website was of little to no use in trying to find treatment. I learned of an addiction doctor in Merchantville, NJ (Dr. Lance Gooberman) who provided an opiate inhibitor. In addition I tried to find counseling for my son. This was all new to me and my husband and we quickly learned how naïve we were in fighting this on our own. In June, Z attended IOP at Rehab After Work. The counselor told us he needed inpatient care or he would die. Our first try to get Z into a rehab was in July 2014. He was denied but given approval for outpatient treatment. We tried again in August at Seabrook House in Bridgeton, NJ. Z was told verbally that the insurance was denying. I do not know if he ever received written confirmation of this. In September, he hit bottom and once again tried to enter an inpatient facility. On September 20, 2014, we took Z to Livengrin in Bensalem, PA. Since it was a Saturday, the facility could not get in touch with our insurance. Z remained. By Monday, he was denied, and Livengrin went through the appeal process 3 times. All were denied and Z returned home on September 24. He returned to Dr. Gooberman for Vivitrol injections. He remained clean for 3 months. On December 27, 2014, I found him dead at home in his music studio. The detective told me he found 2 bags from heroin. Address the adverse determinations by insurers. The systematic coverage denial position the hired carrier physicians take result in prohibiting necessary care to the patients. A bill to address and correct this practice should permit decisions of continued or extended care be deferred to the judgment of the treating physician. This would almost certainly have a positive effect on treatment, as long-term addiction treatment provides overwhelmingly better outcomes for this chronic medical illness. Similar legislation has passed in Massachusetts and Pennsylvania, but it is greatly needed nationwide. Address the wanton payment audit practices of the carriers, and of the Recovery Audit (RAC), Medicare Audit (MAC) and Zone Program Integrity (ZPIC) Contractors. There must be limitations and mutually beneficial regulation of the billing audit process, of the strong-arm practices of the contractors and the at-will financial hostage situations created by the carriers and audit contractors. 2) It addresses insurance coverage and how insurance companies are not paying for treatment, despite the legal requirement to do so as dictated by the 2008 Mental Health and Addiction Parity Act and the 2010 Affordable Care Act. We have spent the past five years working through the labyrinthine process of receiving denials and writing appeals; of requesting and wading through medical records; of phone calls and emails; of preparing and presenting our sons’ cases for hearings or External Review. All while responding to both sons’ treatment needs and legal issues, as well as one son’s multiple relapses. And yes, going to work every day. We learned that our insurance company uses the American Society of Addiction Medicine (ASAM) criteria and dimensions to determine medical necessity. As we went through the letters of denial we wondered whether they were actually referring to our sons or their history at all. Both boys were adolescents at the time – by ASAM’s own definition – which meant they needed to fulfill 2 of the 6 ASAM dimensions to meet medical necessity for approval for treatment. Yet, our insurance determined them to be adults which meant they had to meet all 6 dimensions. Despite the fact that our sons’ medical records revealed that they did in fact meet all 6 dimensions, our insurance company ignored those facts and misapplied and misrepresented the ASAM criteria to deny life-saving treatment. Valerie has organized a large number of these families into a group and they are hoping to effect an investigation on the state level. They are also advocating for insurance reform through legislation. Valerie’s grandmother was a suffragist and worked very hard to get women the right to vote. Now, Valerie has taken up the mantle in an equally important fight in our time. We have a health crisis in the United States which is not being adequately addressed, despite the soundbites uttered by politicians and the constant media attention. We need addiction to be recognized and regarded by the carriers as the chronic medical illness that it is. We need mental health and substance disorder clinicians to have the same role in defining treatment for their patients as medical doctors have in defining treatment for their patients with physical illness. Most significantly, substantive penalties need to be put in place in order to ensure compliance with the existing laws that mandate coverage. The costs associated with inactivity on this critical point are both high and disastrous. Advocates, professionals, politicians and even private citizens have both a vested interest and an obligation to push for insurance reform. And if you don’t have insurance, the results are even worse. Frank Jones, Partner, Mints Insurance – a 20 year insurance leader who advocates for the medical industry and a government affairs professional. He operates a national boutique insurance agency with a focus on medical risks, and a special niche in mental and behavioral health operations and medical malpractice. He can be reached at Frank@mintsinsurance.com. Frank Greenagel, MPAP, LCSW, LCADC, ICADC, ACSW, CJC, CCS, is a clinical social worker who specializes in addiction & recovery treatment. 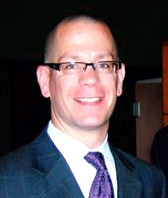 Frank is an adjunct professor at the Rutgers School of Social Work and an instructor at the Center of Alcohol Studies. He writes a blog at greenagel.com. He conducts trainings and delivers keynote speeches around the country. He completed a Master in Public Affairs and Politics in 2015. 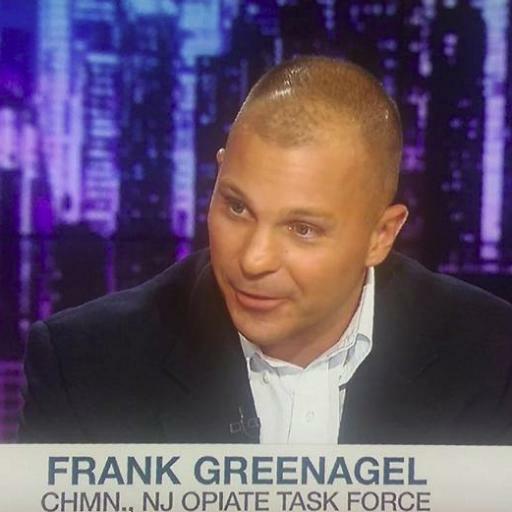 He has served on the NJ Governor’s Council on Alcohol & Drug Abuse (GCADA) since 2011 and was also the Chairman of the NJ Heroin & Other Opiates Task Force. In 2014, 10 years after he was granted an honorable discharge, Frank was directly commissioned into the Pennsylvania Army National Guard as a First Lieutenant. He helps soldiers that have experienced PTSD, substance abuse issues and tries to point them all in a positive direction. He can be reached at flg2@aol.com.